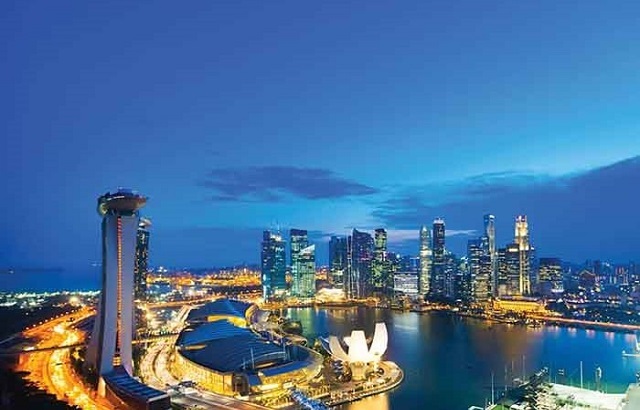 The Life Association of Singapore (LIA Singapore) reported a 28% drop in single premium sales to S$308.2m (£176.6m, $227m, €201.2m) in October to December 2018, from S$430.5m in the previous quarter. There was also a 45% fall in single premium sales, year-on-year, during October to December 2018 from S$563.2m. 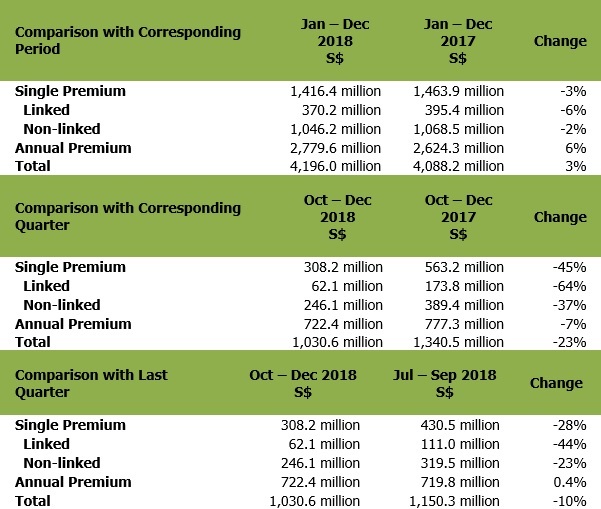 In addition, LIA Singapore logged a 3% decrease in single premium sales to S$1.42bn in January to December 2018 from S$1.46bn during the previous period. The association said this was due to the combination of turbulent markets late last year combined with regulatory requirements to reduce the sales charge for purchases of Central Provident Fund Investment Scheme (CPFIS) products, a retirement savings vehicle. However, annual premium sales rose by 0.4% during October to December 2018 to $722.4m from S$719.8m in previous quarter, but sales were down by 7% in same period in 2017. Annual premium sales increased 6%, year-on-year, during January to December 2018 to S$2.8bn. Overall, total business sales (which combines all single premium sales and annual premium sales) fell 10% from the previous quarter to S$1.03bn in October to December 2018, and sales down 23% from the same period in 2017. But total business sales were up 3% to S$4.2bn during January to December 2018 from S$4.09bn in 2017. Patrick Teow, president of LIA Singapore, said: “Singapore’s life insurance industry achieved growth despite a challenging end to 2018 with market volatility particularly pronounced in the last quarter.